Beards are all of the rage right now and we can’t blame anybody for that. After all, they do add an air of trendy ruggedness to any man’s face. With that being said, beards need to be taken good care of, which can be easier said than done. This is especially true for black men, because it seems as though most beard care products are made, well, not for black guys. However, that is why we are here today, to help you find the best beard care products for black men on the market. The Bossman Beard Kit is a really nice beard care kit for black men. 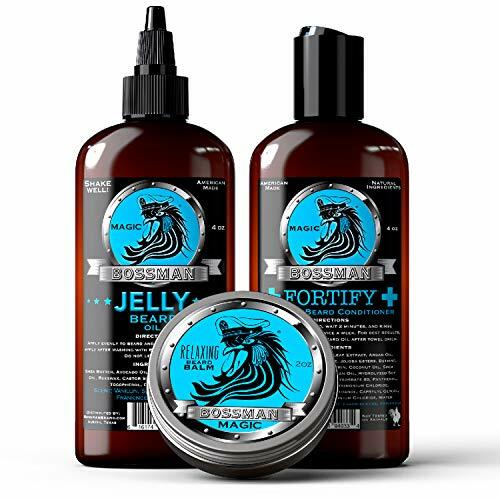 It comes with 3 main products, including a fortifying conditioner, jelly beard oil, and beard balm. All of these work in their own way to help tame beards, moisturize them, soothe the skin, and so much more. The fortifying conditioner is intended to help strengthen and repair beard hair while replenishing essential nutrients for beards. Beet and mango extracts provide beards with nourishment to help stop split ends, dryness, and more. The Jelly beard oil is another good addition to this particular beard care kit. It is meant to make your beard very smooth, moisturized, and it helps tame it too so you can style it any way you see fit. Finally, the relaxing beard balm features a really nice scent that you can smell all day long, and it helps to moisturize beard hair and skin as well. Simply use the products one after the other, starting with the conditioner and ending with the balm for the best results. In our opinion, this is one of the best beard care kits out there right now. This kit does not come with as many oils and lotions as the previous product we looked at, but it does feature a nice boar bristle brush and a no-snag wooden comb. First off, the beard oil itself is made from argan oil, jojoba oil, pear wood, and sandalwood. It is specially designed to help replenish your skin and beard with essential nutrients and oils. It is a good choice if you have really dry skin and beard hair, split ends, and skin that is prone to irritation. It goes a long way in making your beard smoother, easier to manage and style, plus it smells really nice, all great benefits as far as we are concerned. We really like the boar bristle brush because it is made with top-quality materials, plus it works wonders at straightening, untangling, and styling beard hair. It is also a good brush because it helps spread the beard oil around. If you really want to straighten out your beard hair, the wooden no-snag comb included with The Beard Legacy Beard Care Kit works really well. Simply apply the beard oil to your face and use the brush or comb to spread it around while also styling your beard. Ok, so to be perfectly clear, this stuff has nothing to do with the famous actor Jack Black. However, this does not mean that Jack Black Beard Wash is not a great beard care product for black men. This particular beard wash only comes with the wash, and does not include any oils or brushes. 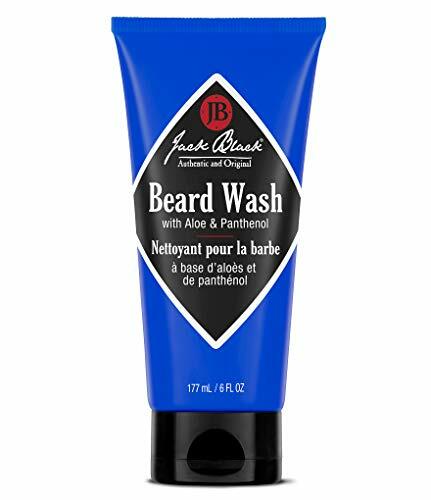 However, we really like the Jack Black Beard Wash for a couple of reasons. First and foremost, it does a great job at actually washing beards. It contains several ingredients which are great for cleansing beard hair and getting rid of dirt. On that same note, while Jack Black Beard Wash is great for getting rid of dirt, it is known for not stripping away essential oils or drying out beard hair and the underlying skin. It features quite a few ingredients which actually moisturize and nourish beards and the underlying skin. It will make your beard smooth, a little glossy, shiny, soft, and much easier to manage. There is of course also the fact that Jack Black Beard Wash smells good too. Simply wash your beard with it once per day for the very best results. This is a unique beard oil, one that we personally like quite a bit. Now, we do like our scents, but not all the time. One of the things that might stand out to you about this particular beard oil is that it has no scent. Maybe you just don’t like smelling fruity all day, or maybe you are wearing a different scent that doesn’t mix well with the smell of most beard oils. The point here is that this unscented beard oil won’t leave you smelling like sandalwood or a fruity cherry blossom. With that being said, Rugged Bros Unscented Beard Oil comes with all of the benefits that any scented beard oil comes with. For one, it contains different vitamins and minerals that help to fortify and strengthen beard hair so it does not break and split. On that same note, this beard oil is also wonderful for hydrating both the beard and the skin. It helps your beard be moisturized, smooth, shiny, and easy to manage. It helps to remove dandruff, soothe itchy skin, and it makes your face feel a lot better. We also like how this oil is quite lightweight and is not greasy at all, both big bonuses when it comes to beard oil. Ok, we can’t lie here. We really love the name of this beard oil. Seriously, who doesn’t want BADASS beard oil on their beards? It just sounds rather intimidating. 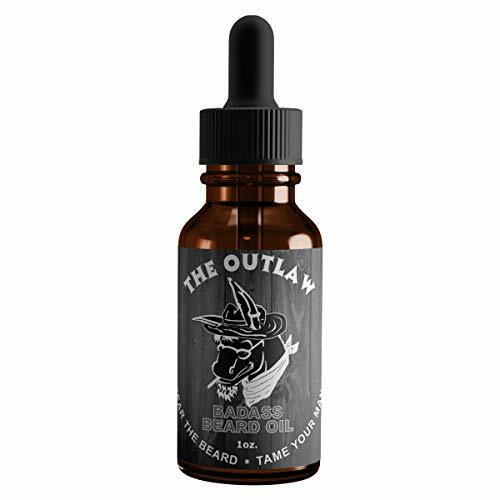 Of course, we did not pick this Badass Beard Care Beard Oil for our list just because of the name. It does wonders for beards and skin, which is why we picked it. Unlike the beard oil we just looked at, this product does have a scent; it smells like black pepper, vanilla, and tobacco. While this scent might not be ideal for everybody, it’s certainly a good way to show people that you are a manly man. We like how Badass Beard Care Beard Oil is made with 100% natural food-grade ingredients, is free of toxins, and perfectly safe to use. 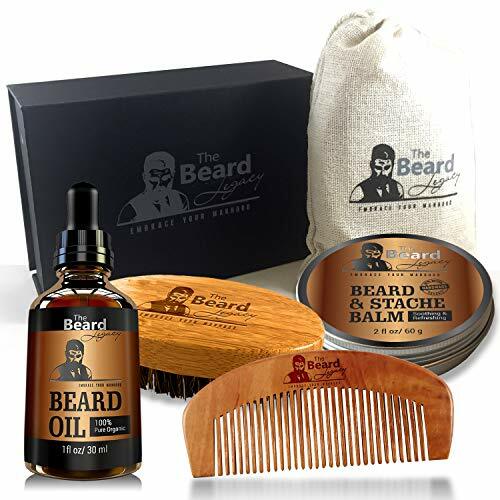 It is designed to be used for sensitive skin and is meant to soothe dry skin, stop itchiness, and repair skin cells and hair follicles for solid beard growth. 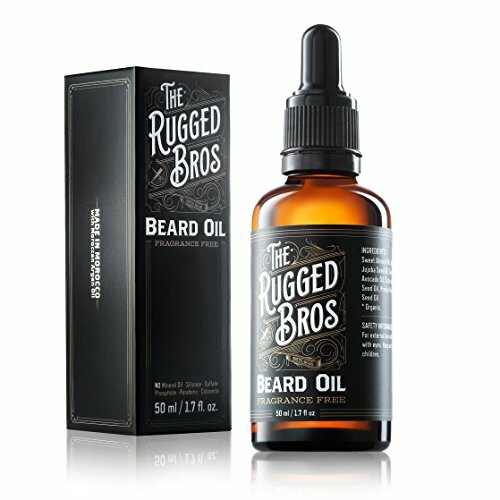 On a side note, this oil is made in the US by people with beards, for people with beards. It has a ton of moisturizing and nourishing ingredients that come with many different benefits for your skin and beard. Smooth Viking Beard Oil is made with 100% all natural, chemical-free, and toxin-free ingredients. This is something that people really don’t pay enough attention to with this kind of product. When you use Smooth Viking Beard Oil, you know that you are only using healthy and top-quality ingredients that will bring you only benefits without any nasty side effects. One of the things which this particular beard oil excels at is providing you with good hold. It is meant so you can easily comb and style your beard in a certain way, and so it stays that way all day long. On a side note, we really like the scent of Smooth Viking Beard Oil. However, the scent and hold are only two positive aspects here, but there is still more. This beard oil is meant to fortify your beard hair from root to tip, make it stronger, less prone to splitting, and much smoother too. Smooth Viking Beard Oil will hydrate your beard, your skin, remove redness and itchiness, and help control dandruff too. FULLLIGHT TECH Beard Care Oil is made with great ingredients like jojoba oil, tea tree oil, aloe, vitamin E and more. It comes with a light orange scent that smells nice, but is not too overpowering. This beard care oil does everything that good beard oil is supposed to do. 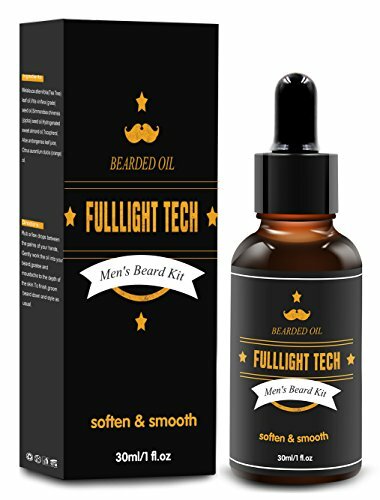 The vitamins and nutrients in FULLLIGHT TECH Beard Care Oil work to moisturize your beard and the underlying skin. It helps to remove redness, itchiness, and dandruff too. At the same time, it is a good option for strengthening and fortifying your beard hair so it doesn’t split. It also makes for a good grooming oil to straighten beard hair and provide you with some hold for the style of your choosing. There you have it, the 7 best beard care products for black men. Of course, all of these products can be used by anybody out there, not just black guys, but they do work best for people with darker skin and the accompanying hair type. We recommend taking a closer look at any one of these products if you need to improve the health of your beard, it’s look, and its ease of styling.